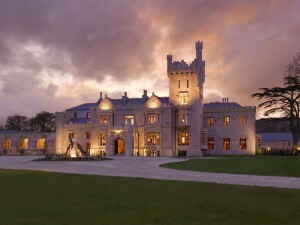 Lough Eske Castle Hotel & Spa is Donegal’s only five-star hotel. It sits on over 40 acres of woodland, is a stone’s throw from its namesake lake, and won the World’s Best Luxury Country Hotel Award in 2009 and 2010. It is, therefore, something of a class act. It is also a sight for sore eyes: an imposing, real-life Tudor-baronial castle that was refurbished in lavish, luxurious fashion in 2007. 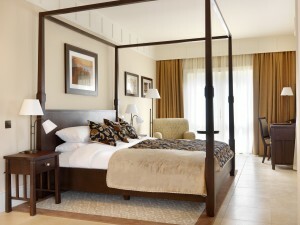 Since then, the hotel/spa has become a pamper/leisure destination in Ireland that is, frankly, second to none. If you're into having different styles of rooms to choose from, then take your pick from Courtyard rooms, Garden suites, Executive suites, Deluxe rooms and the Presidential suite! We stayed in a Garden suite, a cluster of which is located within the original castle walls. These are quality rooms finished off in a very high-end fashion: a four-poster kingsize bed, stone tiled flooring (with underfloor heating), thick tufted rugs and a Spanish basket gas fire are offset by earthy, neutral colours that reference the gardens outside. Add in the usual accessories (flatscreen television, spacious bathroom, free Wi-Fi), and you have all you need for a few days to get by without any undue stress. Food is served in two areas – the Gallery Bar and Cedars Restaurant. The former offers casual dining from the Bistro menu. The latter is rather more refined (though still nicely casual, which is no harm), with unfussy yet superb food overseen with consummate skill. The room itself, meanwhile, boasts woodland views from all vantage points, and is probably one of the most well appointed I've had dinner in for many years. I mentioned that you'll see woodland views from all vantage points in Cedars Restaurant, but, really, the views are great from pretty much anywhere in the hotel. Located just over five miles from Donegal town, unfolding before your eyes at the end of a long, winding woodland driveway, Lough Eske castle seems to have the best of both worlds: it’s close enough to an urban setting if you’re feeling eager for shops, company, pubs and chat, yet it’s enveloped by nature in that it’s on the edge of the titular lake, and is right beside the Blue Stack Mountains. Inside the castle, you can while away the minutes very pleasurably by perusing the striking range of contemporary art and photography (which includes artwork by Lucien Freud, and a magnificent collection of monochrome images by Father Brown). 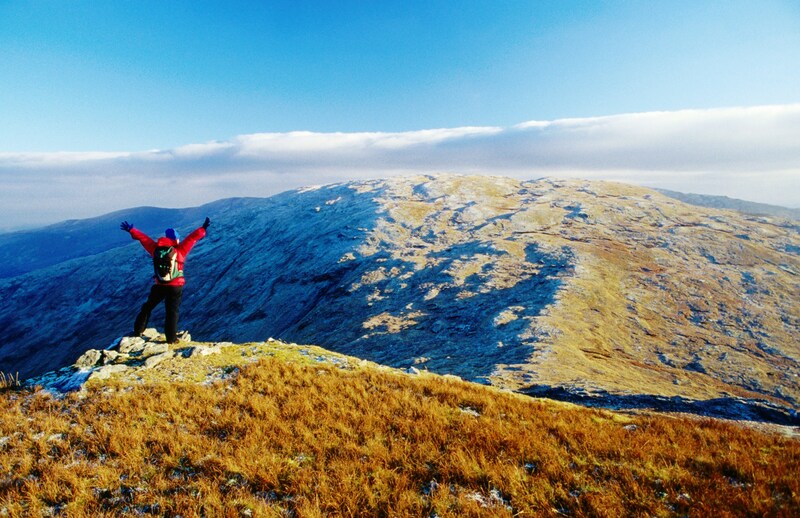 If you’re the outdoors type, take a guided walk through the nearby Ardnamona Wood Nature Reserve, a 46.6 hectares expanse of oak woodland, just west of Lough Eske, that is brimming over with flora, fauna and more shrubs than you can shake a knobbled, old walking stick at. There's an awful lot to like here: the manicured open spaces, for one, and the almost children’s literature-like figurative bronze sculptures (by Lloyd Le Blanc and Judith Holmes Drewry) that dot the landscape surrounding the castle. The restaurant service, also, is very impressive, and (crucially) sincerely friendly. What's not to like? Well, it certainly isn’t the hotel’s fault, but the signposting from Donegal town to the hotel is virtually non-existent - so prepare to use your orientation skills to the max. 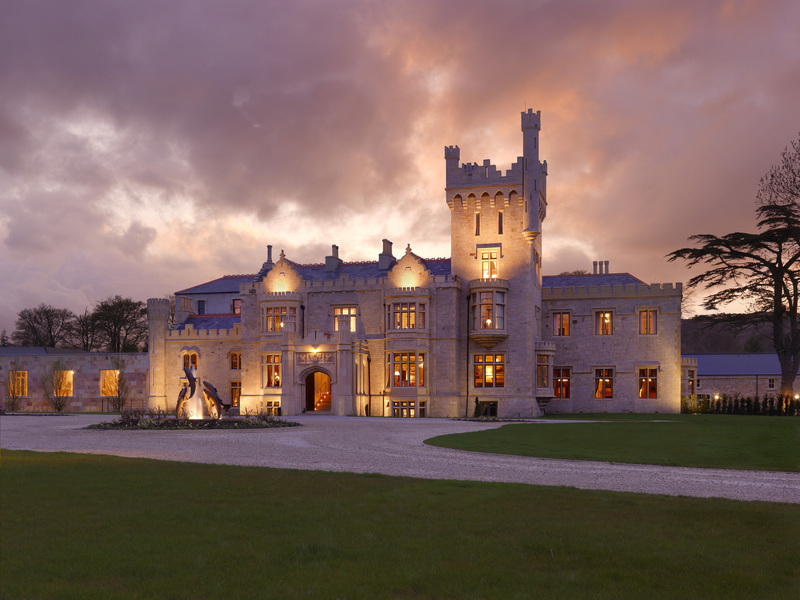 HOTEL DETAILS: Lough Eske Castle Hotel & Spa, Donegal, County Donegal, Ireland.